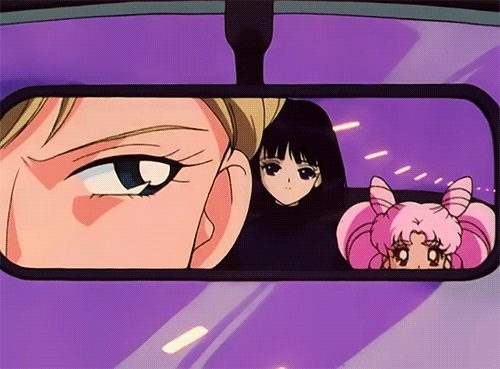 So even if Haruka were able to have obtained a driver’s license from one of the many countries which have a lower legal driving age,5 she would still not be allowed to obtain an international driving permit in the first place. What’s more, even if it were possible, Japanese law still doesn’t allow anyone under the age of 18 to operate a normal motor vehicle on public Japanese roads. So unfortunately, we’re going to have to put to rest any possibility that she would have been able to actually engage in driving a car in any legal sense. Cars may be out, but motorcycles are perfectly legal! One thing that is interesting to note, however, is the fact that obtaining a driver’s license to operate a motorcycle is actually easier in Japan, with the legal age being set at 16 years old, so Haruka would be able to have a license for her motorcycles (of which she had several). This, of course, only answers half of the question. What does this mean about Haruka’s career in racing? It might surprise you, but while the very idea that a 16 year old high school girl could be an accomplished race car driver, this part of the story is actually more plausible than the assertion that she could drive a normal car on the streets of Japan. 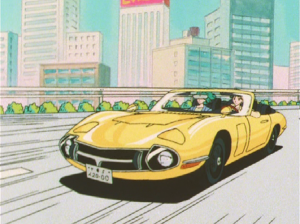 First off, going with the story provided in the anime that Haruka is a licensed driver in another country (never mind that Japan doesn’t observe it for road driving), it might be safe to assume that she’s also a race car driver in another country. Since we don’t know what country she was racing in we can’t say much more, but NASCAR has allowed 16 year old drivers and younger for much of its existence. Mexican-born driver Germán Quiroga,6 for example, made his debut in the NASCAR Reto Neon series in 1996 at the age of 15. Across the pond in Europe, Formula Renault7 (an entry-level racing series) allows drivers as young as 16, so it’s not entirely out of the realm of possibility that Haruka had possibly been a championship racer either in the United States or somewhere in Europe. But what about in Japan? Unfortunately, things don’t quite work out as well for Haruka’s racing career in Japan as they do around the rest of the world. The Japan Automobile Federation (JAF), which manages most of the racing circuits in Japan, requires a normal driver’s license in addition to being 18 years old in order to get a racing license8 and Haruka, unfortunately, meets neither of those conditions. All is not lost, however. Japan has a rather strong tradition in kart racing circuits which are open to younger drivers – as young as 16 in fact!9 This is, of course, quite different from the illustrious, jet-setting, trendy race car driver image we have in our minds for Haruka, but it’s unfortunately the only possibility open to her if we were to try to match up what we know of her back story with the situation in Japan. Personally, I’m actually quite impressed that it actually is possible for Haruka to have been a race car driver at all (even if internationally, or limited to racing karts in Japan) and that there was even a bit of truth behind this. Obviously this is a fictional world and we need to give some leeway for the sake of story telling, but it’s always comforting to know that there’s some basis in reality. Once again, the world of Sailor Moon doesn’t disappoint! ← How Did Ail and An’s Cardians Get Their Names? I have always been of the opinion that Haruka is actually 18 at debut, and lying about her age to not leave her partner alone in a potentially hostile area. Interesting theory! Though she’d be a pretty awful liar if she says she’s 16 and then tells everyone she’s a race car driver and speeds off in her car. About Haruka’s lies, I like to think she’s counting on the sheer audacity of the situation and having to not get caught lying only by the questionably sane staff at the Mugen Gakuen (everyone else doesn’t matter as they can’t prove it. At least she thinks so, but in the manga Minako’s police connections could give her a lot of trouble…), plus having actually been in the US. I also subscribed to the ‘they’re lying about being 16’ theory when I read the manga the first time (I couldn’t watch the anime since I was in the US – so I had what I had :)). Given how mysterious they were portrayed, I always figured it was more of a sham/lie to get close to the danger at hand. That would definitely explain away a lot of things! This would also explain why the just kinda hang out and raise Hotaru, with no worries about school, from SuperS and on. The only problem with the “they were lying” theory is that in the anime at least, we see that Haruka was a race car driver when Michiru finds her and she realizes she’s Sailor Uranus, so in the anime she already had an established career. In the manga, I guess she could have also lied to the racing organization, but considering how outlandishly wealthy she and Michiru were, it seems like something that would’ve gotten noticed. Then again, she also was thought to be a male race car driver, so what do I know? =p But that would mean that they were keeping up the lie later on when they also started attending Juban high school with Usagi and the rest. Hmm. I guess you could argue that they were keeping an eye on the Star Lights? In some translations of the manga, they even refer to Haruka as a F1 test driver! As an F1 fan myself, I find it great but… really exaggerated. OK, a 16yo (boy or girl, but of course a girl would draw even more attention) could in theory drive a F1 in tests. Today it became impossible, because when 17yo Max Verstappen raced, Federation said “never again” and created a 18yo rule. This is not a job you can combine with “super soldier Earth depends on”. Also, when they take a gap year in their career to go back to high school… seriously, Japan’s promising F1 driver (eh, test driver also means you are tested as a future race driver) taking a gap year, and no journalists ask for explanations? Of course all these arguments also apply for the Starlights: successful singer and super soldiers, this sounds like a sleepless life. Interestingly enough, both of the translations are generally correct, though both picked up on different nuances. The nuances were really not all that important, but one of them misses that these are white roses, which the other catches. 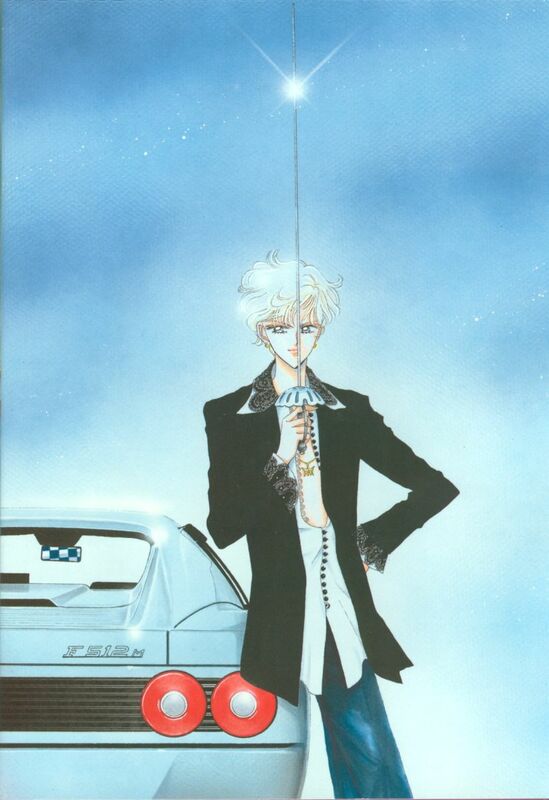 Also, the second link (TokyoPop’s translation?) is more accurate in that they ask whether it’s true that they live together, which the Japanese implies the speaker thinks so, but the other translation makes it so that they’re simply speculating. Conversely, that translation makes it sounds like no one knew she wasn’t in Japan, while the other picks up on the fact that people were under the assumption that she had actually moved abroad and wasn’t coming back. Yeah, I could talk for hours about comparing translation nuances. Anyway, you’re right, the original Japanese does say that Haruka is an F1 test driver, which is absolutely absurd. As much as I appreciate the realism Naoko tried to put into the manga, I have to say that she just didn’t even bother when it came to Haruka and Michiru. I guess it all comes together to make them sound cool, but for me, it just blows the whole situation out of the water by being totally ludicrous. I must admit I’ve also felt they just lied about their age. Show me a hs 1st grader who would be as self confident and knowledgeable as Haruka and Michiru are. Especially in a country like Japan where they do all to keep kids kids by forbidding everything. What 16yo in Japan would have a matured relationship as the two have? When looking at the 2, they remind me of US American highschool series. I was surprised how grown-up American school kids were till I learnt that most actors were in their early 20’s. It’s most likely similar with Haruka and Michiru. Being at least 18, mostly more like 20-23 years would explain the racer carrier, the helicoptors, the relationship, their living alone in a hyper fancy apartment without any Sebastian or Wan or Yuna D Kaito to look after them. And it would explain why they are so ambiguous when asked about the driving license. They don’t want people to know their real age. I guess my biggest issue is that, to the extent possible, my goal with this blog is to never go to the “they were lying” answer unless we have any proof that it was a lie. Once you open Pandora’s Box, it kind of makes it impossible to discuss anything about the series if you could just say that every statement made throughout the series could just be a lie. Seeing as Haruka was a well-known celebrity, there’s no way that the school would have been unaware of her racing and driving career. 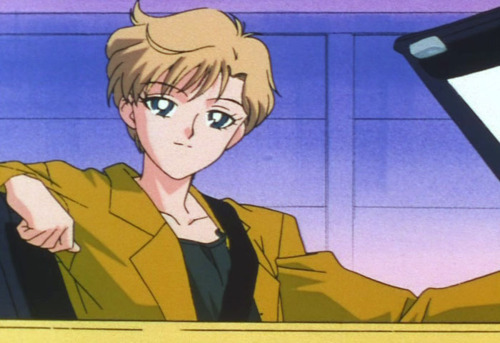 The last nail in the coffin for this “they’re older” theory, in my opinion, is the fact that both Haruka and Michiru attend Juuban High School in Sailor Stars. Assuming they were lying about their ages just to sneak into Mugen Gakuen, they no longer have any reason to keep up appearances. Of course, if anyone has any compelling evidence, I’d be open to hearing about it. But thus far, I’m still unconvinced.